In 2019, we will mark a number of meaningful milestones in German-American relations: seventy years since the founding of the Federal Republic of Germany and NATO and thirty years since the fall of the Berlin Wall. These achievements will be celebrated, but they will also be accompanied by many harbingers of more challenges and choices ahead and a large dose of uncertainty. Knowing that the past is informative, if not determinative, a look into how we got to where we are today may help us understand where we go tomorrow. The Federal Republic of Germany marks its 70th anniversary this year and is one of many meaningful milestones for what former federal president Joachim Gauck called “the best [Germany] we’ve ever had […] a stable democracy, free and peace-loving, prosperous and open.” All things considered, the country has built a respectable record including a lot of learning, reforming, and renewing along the way. The North Atlantic Treaty Organization (NATO) also came into being in 1949 and is now known as the most successful alliance in history. Germany, a member since 1955, was the frontline of the alliance during the Cold War and remains one of the most important and active members of that alliance today. Thirty years ago, the Berlin Wall fell, the symbolic end of the Cold War and the beginning of a process of German unification and Europe becoming “whole and free.” Of those many German-American joint efforts during these past seventy years, German unification certainly stands out as the capstone of cooperation. Those three milestones represent evidence of the value of transatlantic cooperation—a cooperation without which none of these accomplishments would have been possible. Along the way, there were multiple occasions that tested and strained the German-American partnership, but the shared bonds of interests and goals have held—for the most part—until now. But other milestones will mark serious warning signs in 2019. In 1919, the U.S. and its allies met Imperial Germany in Versailles, formally ending the Great War and implementing reparations for a defeated Germany. Over the next two decades, however, the legacy of the First World War lingered, eventually leading to another war. The incapacity of Europe and the unwillingness of an isolationist U.S. to engage in preventing that catastrophe reminds us all of the dangers of a world that is left to rule of the jungle. That deficit has clear messages as we look at contemporary threats to our democracies today. Other milestones could include the 20th anniversary of the euro. While it has survived multiple crises in the last twenty years, there is a serious question about its ability to survive another set, which are bound to come. Germany’s role in this young institution has always been highly influential even though a German has never been head of the European Central Bank (ECB). With the current president due to retire this year, the status of Europe and the role of the euro in a fragmented environment does not bode well for his successor. 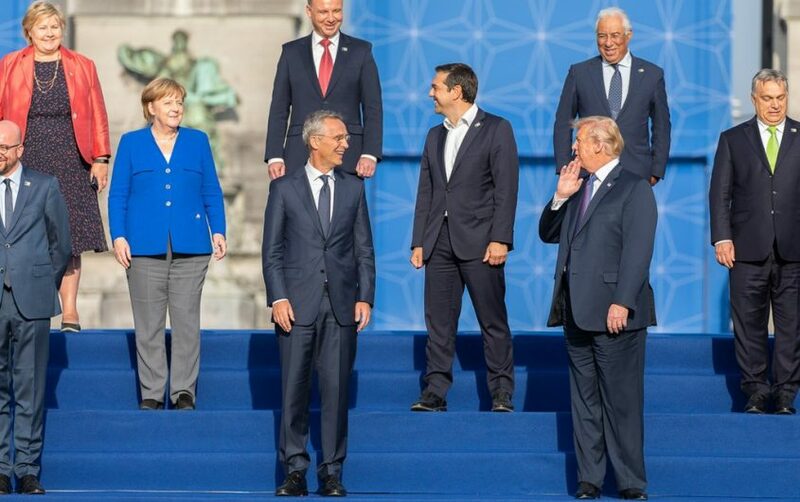 Amid NATO’s 70th anniversary, there will be no summit this year. The milestone will be celebrated in April in Washington, hosted by Secretary of State Mike Pompeo in the absence of a confirmed Secretary of Defense. it will be accompanied by tensions within the alliance as it confronts a world much different than when it was created. It also leaves many uncertainties about its future and a tenuous consensus on solidarity, shared purposes, and the definition of burden sharing. These reminders as to how far Germany and the U.S. have come—through both crises as well as accomplishments—as well as the challenges in the new year are both encouraging and sobering for 2019 and indeed for the foreseeable future marked by uncertainties. In both countries, there are questions about the status of current political leadership. Will Merkel remain chancellor if her party takes another hit in a series of German state elections later this year or in the European Parliament elections? Who will be her successor and in what combination of coalition government? Will Donald Trump be confronted with a serious set of allegations either from the Robert Mueller investigation or from the House of Representatives now under Democratic Party control? And who—Democrat or Republican—might be a successor to Trump in 2020 should he leave office? More tectonic shifts on the global stage are creating new and more serious challenges to both countries and their seventy-year-old partnership. These uncertainties occur while more tectonic shifts on the global stage are creating new and more serious challenges to both countries and their seventy-year-old partnership. The future of the European Union and its capacity to sustain momentum in the headwinds of spreading populist movements throughout the continent is at stake. In May, the European Parliament will face elections that will test how strong those headwinds are throughout the twenty-seven member states. The results will shape the governing structure of the EU, which will face pressures to deal with contentious trade policy, defense capabilities, energy security, and the refugee crises. In addition, the continuing aggression by Russia in Ukraine, and potentially elsewhere, is undermining the need for a stronger commitment to European security. Multiple initiatives to generate a stronger European security capability are being taken, but it remains unclear if the EU can reach the level needed to seriously confront Russia with a viable cohesion and sufficient credibility. At the same time these challenges are posed in Europe, others are also emerging in Washington. In questioning the parameters and cornerstones of the European-U.S. relationship—a commitment to mutual security, a liberal trade system, a commitment to human rights and to shared rules to help manage an unruly world—President Trump appears to be ambivalent about the value of an integrated Europe. He seemingly rejects the notion that Europe and the U.S. are partners, rather seeing the EU as a rival designed to take unfair advantage of the U.S. There is a larger American debate unfolding about the role and responsibility of the U.S. on the world stage—one that will not be settled even after Trump leaves the White House. There is also the increasing shadow of China on transatlantic relations. Over the past few years Beijing has engaged in more investment and other forms of involvement in Europe in line with its Belt and Road Initiative. It has been particularly interested in Germany’s high-tech sector, but it has also made enormous investments in other countries like Greece and financing infrastructure projects elsewhere in eastern Europe. That has led to concerns about increasing Chinese leverage without seeing convergence of agreement on policies and practices in trade agreements. Meanwhile, trade policy clashes between China and the U.S. have escalated significantly—a situation that might lend itself to transatlantic cooperation in responding to China. Yet that has not occurred due to the lack of a consensus in Europe and the U.S. on what the means and ends should be to pursue that goal. All this taken together, 2019 will confront a situation in which the transatlantic cornerstones are less anchored on both sides of the pond. Rather than letting disputes and disillusions dilute it, German and American partners should seize the opportunity to craft a stronger alliance, which is essential to beat back the real challenges to liberal democracy. 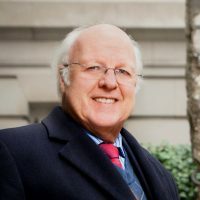 Rather than letting disputes and disillusions dilute it, German and American partners should seize the opportunity to craft a stronger alliance, which is essential to beat back the real challenges to liberal democracy, i.e., those that undermine the trust and confidence we have in our domestic institutions, our leaders, and the framework of the transatlantic web of partnerships. That effort will need to be accompanied by shifts in both thinking and policy, as well as a reset of burden and power-sharing in the twenty-first century. 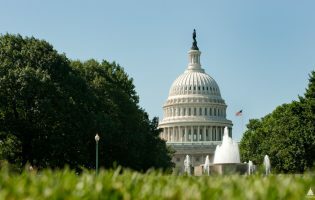 Issues that challenge the U.S. and Europe at home and abroad, such as immigration, terrorism, economic inequality, digital revolutions, and regional security can be shared in both their diagnoses as well as potential responses. The domestic political eruptions visible on both sides of the Atlantic stem from backlashes against ever more rapid globalization, anxiety about the future, and the need to rethink and reform the institutions needed to confront them. 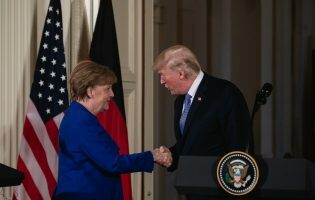 Europe and the U.S. share both the challenges and the consequences for either success or failure, and this makes the transatlantic relationship more important now than it has been since the end of the Cold War. Meanwhile, traditional political elites in Europe and Washington are struggling to convince their respective constituents that globalization is still beneficial. A successful remedy to relieve domestic pressure toward nationalistic, protectionist policies and to prevent potential deterioration of the liberal international institutions must embrace the transatlantic partnership and, at its core, a stronger German-American alliance. At the same time, both countries need to take significant steps to change their policy outlook. Germany needs to rethink its role and responsibilities as the anchor of a European order which, like Germany itself, is the best ever achieved in hundreds of years of turbulent history. Americans need to grasp the fact that a secure and stable Europe—and Germany at its center—is one of its major accomplishments in the twentieth century and that both sides of the Atlantic have arrived in the first two decades of the twenty-first century in an environment of stability, security, and prosperity is a result of seventy years of working together. Germany needs to rethink its role and responsibilities as the anchor of a European order which, like Germany itself, is the best ever achieved in hundreds of years of turbulent history. There is no doubt that we are witnessing deteriorating trends in that partnership today. To deal with that threat, four questions need to addressed now: how, when, where, and why do the members of the transatlantic community need each other. It will be, at times, uncomfortable, unsettling, and uncertain how the answers may be found on both sides of the Atlantic. What was shared in the past was a recognition that what happened on both sides of the Atlantic mattered jointly. Both challenges and accomplishments are not confined to our respective orbits. No less than when the Wall still stood in Berlin, a shared partnership is not a zero-sum game of winners and losers. We can take pride in our milestones but we need to confront squarely the need to prepare for the next set of challenges in this anniversary year.